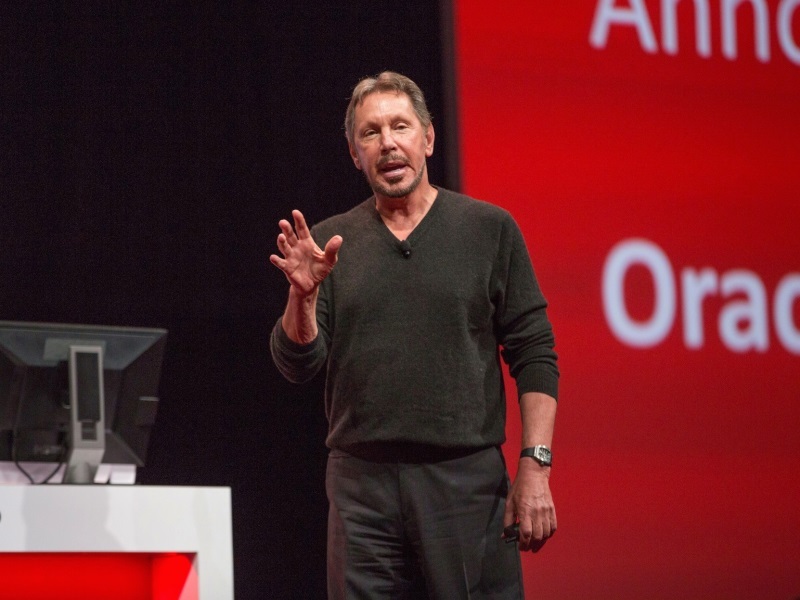 Oracle founder Larry Ellison already owns an island in Hawaii. Now, his company is building a high school next to its Silicon Valley headquarters to help fulfill Ellison’s desire to teach students more about technology and problem-solving. The plan unveiled Tuesday at an Oracle customer conference calls for the business software maker to complete the 64,000-square-foot school by August 2017. Although it will be owned by one of the world’s biggest technology companies, the school isn’t going to be called “Oracle High.” Instead, it will be known as Design Tech, or “d.tech,” a public school approved last year. The campus being built by Oracle will accommodate up to 550 students and 30 teachers in the shadow of Oracle’s towering office in Redwood Shores, California, about 25 miles south of San Francisco. The school will be free and open to any student living in California. Since starting Oracle Corp. 38 years ago, Ellison has amassed an estimated fortune of $54 billion (roughly Rs. 3,50,829 crores) that has enabled him to buy most of the Hawaiian island of Lanai, own elaborate homes around the world and bankroll two victories in sailing’s premier race, the America’s Cup. But Ellison isn’t financing Design Tech. Oracle is footing the entire bill, though the company isn’t disclosing how much it expects to spend. Although Oracle will own the high school, the company won’t be involved in the curriculum. Design Tech gained Oracle’s financial support because it “reflects Larry’s vision for a unique high school founded on principles we believe in: innovation, creativity, problem-solving and design-thinking,” Catz said. Oracle’s commitment to Design Tech comes less than a week after Facebook’s billionaire CEO Mark Zuckerberg, and his wife, Priscilla Chan, announced plans to finance a school for pre-school through eighth-grade students in one of Silicon Valley’s few least affluent communities, East Palo Alto. The Primary School will provide health care services in addition to educational instruction for up to 700 students. Zuckerberg and Chan also have given $100 million (roughly Rs. 650 crores) to schools in New Jersey and pledged to donate another $120 million (roughly Rs. 780 crores) to other schools located in low-income communities in the San Francisco Bay Area.